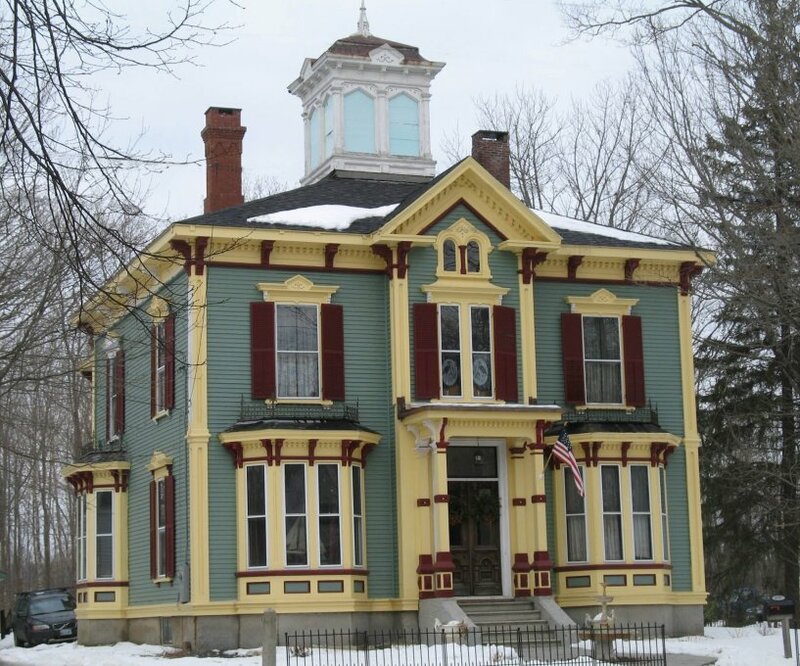 This grand Victorian was built for Thomaston banker C. Sidney Smith in 1877. It has been blessed with new owners who have turned this formerly white house into the town's latest "painted lady'" using colors from the Victorian era that emphasize the lovely architectural details of its construction. The interior is finished with several varieties of wood paneling, heavy moldings and paneled doors. Four original fireplace mantels remain on the ground floor, and a large room sized ice chest stands in its original location near the back entry. This stunning Victorian beauty from 1877 is a prized home in town. It's large rooms have high ceilings and Italianate details that have been beautifully preserved for more than 130 years. The exterior features a low pitched roof with decorative brackets and a square cupola, modeled after the Italian style villa architecture popular in American between 1850 and 1880. Bracketed pediments crown tall narrow bay windows on the lower floor of the front facade, and ornamented beveled square posts support the small single story entry porch. A paired doorway contains two large single panes of etched glass. Elaborate enframements above the door are similar to those over each window. The present owners of the house are Valerie and Jeffrey Allis. 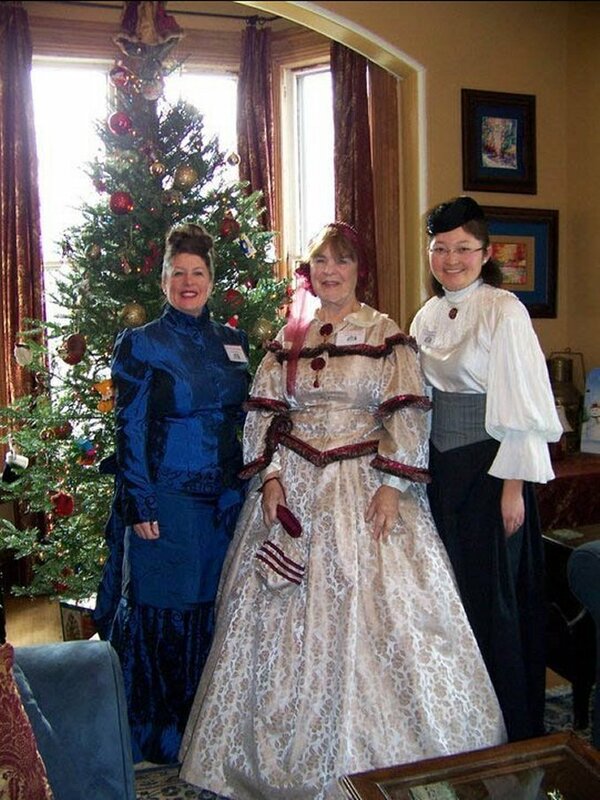 Shown are several of the historical society volunteers who acted as hostesses for the open house. Left to right are Valerie Allis (the present owner of the house), Margaret McCrea and Mei Ling Cheung. The house in an earlier time before the streets were paved and electricity was brought to town. 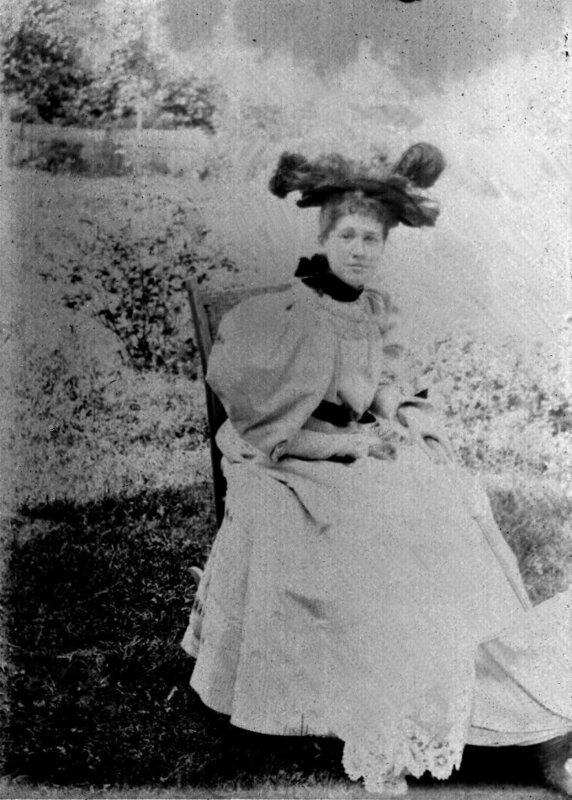 Miss Rita Creighton Smith , daughter of the first owner of the house, was a much beloved Thomaston school teacher. Rita was an only child born on October 8, 1877. She was highly educated, a graduate of Smith College, a cultured lady who traveled the world extensively. According to one former student, a woman who is now 100 years old, Miss Smith possessed a most unusual sense of humor. "She could tell a very good story, especially when it had a humorous plot that tickled the fancy." In this feature, she resembled her father, a very upright and amiable man and an unequaled story teller. He could appreciate a joke on himself as much as when it was on another. Rita Smith was one of the inspirers of the Thomaston Scrapbook, published by the Thomaston Historical Society in 1977, and contributed information and photographs for inclusion within the book. 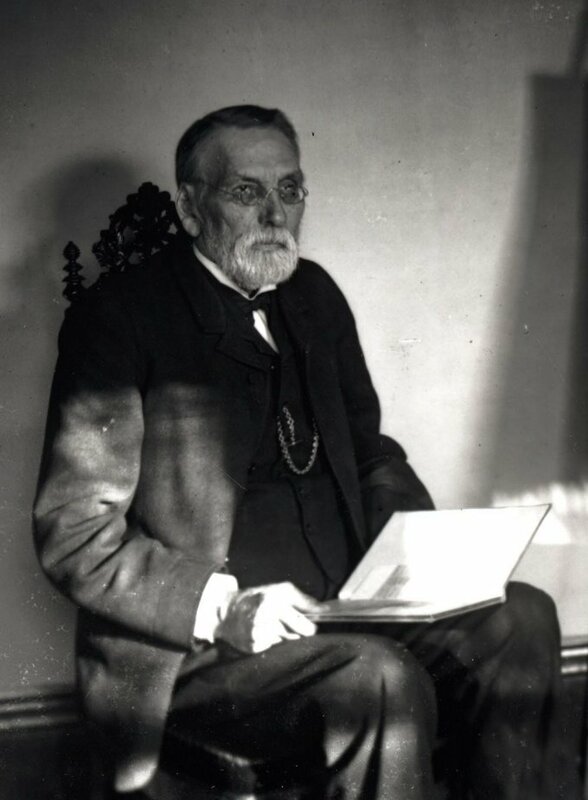 C. Sidney Smith, (1852-1900) spent his active working life as treasurer of the Thomaston Savings Bank. He was the son of S. Emerson Smith, the first cashier of the Georges Bank. He married Emily, daughter of Captain James A. and Emily (Meservey) Creighton, Thomaston master mariner and wholesale merchant, who at one time owned the store and kilns on lower Knox Street. 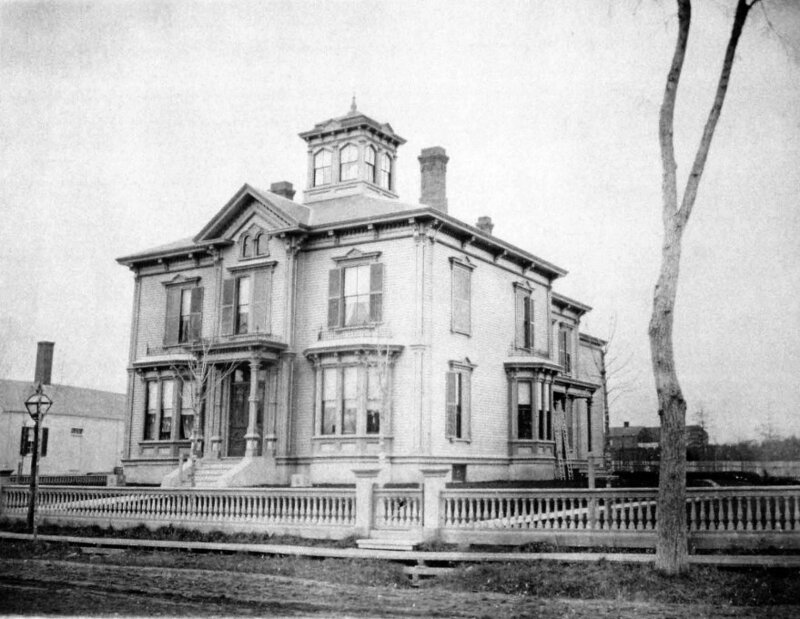 On May 29, 1877, Mr. Smith purchased land on the north side of Main Street from Isaac Chapman and Benjamin Flint where he built this stunning house. Unfortunately, Sidney died at a young age. It was told that the cold which resulted in pneumonia and caused his death was aggravated when, on his way home on a very stormy day, he met a little girl who was overtaken by the storm and unable to walk against the terrible wind. He turned around and guided her to her home in the bitter storm. Whether or not the exposure and exertion was what caused his death at age 49, the action was typical of the good and kind man that he was.